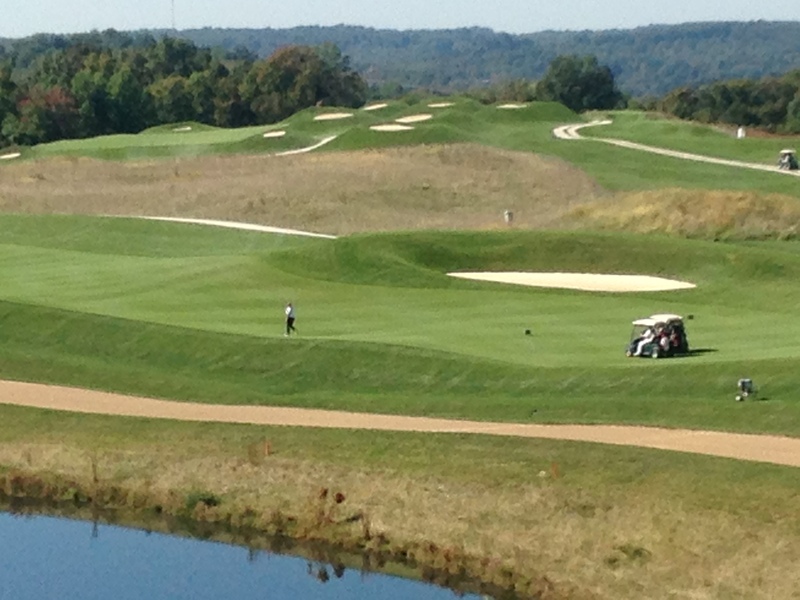 French Lick’s Pete Dye Course is always a challenge, but the views are spectacular. The Ladies PGA Tour added a major championship to its 2017 schedule on Tuesday, and it’s one with a very untraditional format. Commissioner Mike Whan announced that the first LPGA Senior Championship will be played July 10-12 – Monday through Wednesday – at French Lick Resort in southern Indiana. Most pro golf events conclude four days of competition on Sunday, but it was difficult to find weekend dates for the LPGA’s senior members, former stars now in the 45-plus age group. To compensate the LPGA – at the suggestion of French Lick chairman Steve Ferguson and director of golf Dave Harner – put two of its smaller tour events together. The LPGA’s developmental circuit, the Symetra Tour, will hold a 54-hole event on French Lick’s Donald Ross Course from July 7-9 immediately before 81 senior members battle for a $600,000 purse the next three days on the acclaimed Pete Dye Course. There will be no cut in the senior event. The Symetra tournament, also played at 54 holes, will have a $200,000 purse with $30,000 going to the champion. The Ross was the site of Walter Hagen’s win in the 1924 PGA Championship and victories by Mickey Wright and Betsy Rawls in the LPGA Championships of 1959 and 1960. The biggest event on the much younger Dye layout — it opened in 2009 — was Colin Montgomerie’s victory in the 2015 Senior PGA Championship. Scheduling gets even more complex for senior women than just the assignment of weekday dates. The first LPGA Senior Championship follows one of the circuit’s regular major championships – the KPMG Women’s PGA Championship Sept. 30 to July 2 at Olympia Fields Country Club — and the U.S. Women’s Open will be played the following week at Trump National in New Jersey. Scotland’s Trish Johnson was the center of attention after her win in a six-hole playoff with Juli Inkster in last year’s Legends Championship. “This creates a great opportunity for us to showcase our stars of yesterday, the players who really built this game, and our stars of tomorrow,’’ said Whan, who said the creation of the new event was over six months in the planning stage. 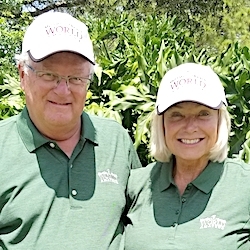 It also could mean the end of The Legends Championship, a previous brainchild of the French Lick staff who had been working with Legends Tour executive director Jane Blalock. Blalock created that circuit – acknowledged as the “official’’ senior tour of the LPGA – in 2000. 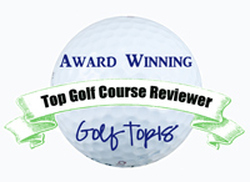 The LPGA and Legends, though, operated independently. Last year’s Legends Championship, in which Scotland’s Trish Johnson whipped defending champion Juli Inkster in a dramatic six-hole playoff, had a purse of $325,000. In its four-year run The Legends Championship couldn’t get any television coverage. The first LPGA Senior Championship will have six hours of coverage on The Golf Channel. 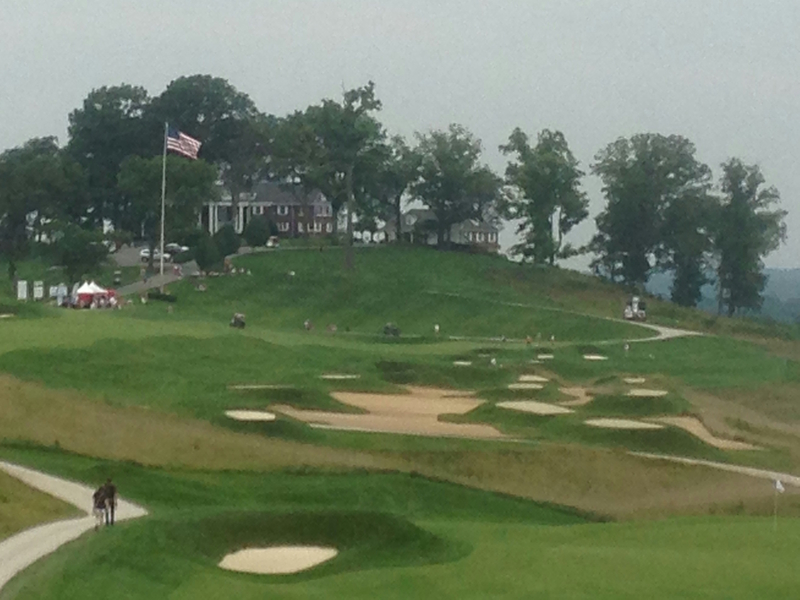 Both French Lick and The Golf Channel have multi-year agreements with the LPGA on the new senior tournament. 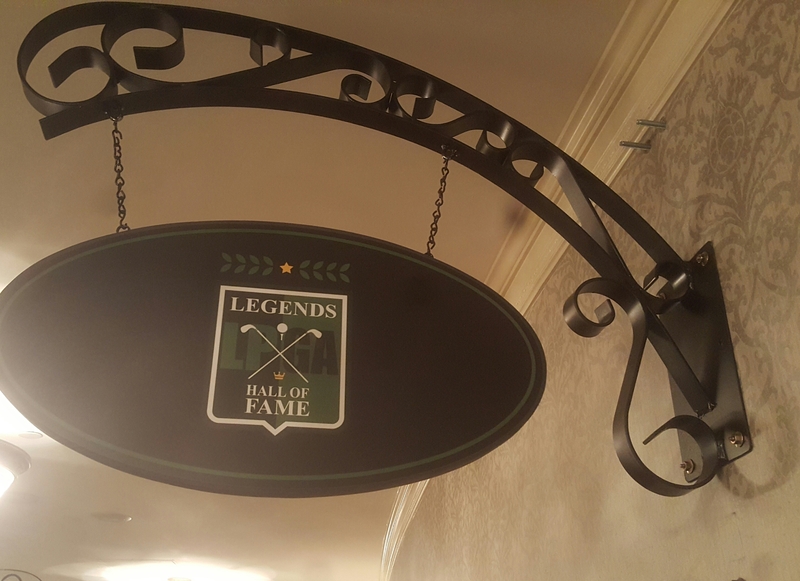 The Legends Hall of Fame is located at the West Baden Springs Hotel in French Lick, and the Legends Championship has been the biggest event on Blalock’s circuit. For now, the tourney announced on Tuesday mainly amounts to a name change but the future of The Legends Championship is in doubt. Harner said it won’t be held at French Lick if it is held at all. In addition to Inkster and Johnson, the Legends roster has included such prominent names as Nancy Lopez, Beth Daniel, Patty Sheehan, Joanne Carner, Jan Stephenson and Pat Bradley. Harner is hopeful that Annika Sorenstam will end her long break from competition and join those stars at French Lick. Sorenstam wasn’t mentioned at Tuesday’s televised announcement, however. Michelle McGann, a seven-time LPGA winner, represented the senior players. Senior women had been the lone segment of the golf population largely ignored by the sport’s organizing groups until recently. The U.S. Golf Association announced in 2015 that it would conduct at U.S. Women’s Senior Open, but that event won’t debut until 2018 at Chicago Golf Club. BIT AND PIECES: Tiger Woods announced that he would play in the PGA Tour’s Genesis Open Feb. 13-19 at Los Angeles’ Riviera Country Club. It was the site of his first PGA Tour event in 1992, when Woods was a 16-year old amateur. 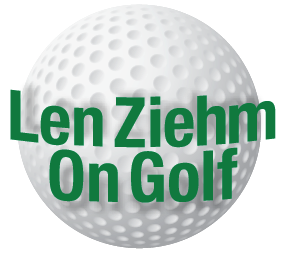 Berwyn’s Nicole Jeray, long the only Chicago player on the LPGA Tour, could wind up playing in both the Symetra and senior events at French Lick. She’s one of only two players to earn money on all three women’s circuits in 2016. Jeray has full status on the Symetra in 2017 and expects to get into most of the Legends tournaments as well, but she fears conflicts with the accompanying pro-ams may limit her to playing one or the other tournament at French Lick. The first LPGA Senior Championship also includes pro-ams on the Friday and Saturday of the Symetra tournament. Deerfield’s Vince India has regained his place on the PGA’s Web.com Tour. He finished third in last week’s qualifying school in Winter Garden, FL. Chicago-based Wilson Sporting Good has been at least temporarily thwarted in its well-publicized bid to launch its new Triton driver. The club’s development was the focal point of a nationally-televised golf reality series, but the U.S. Golf Association says the club doesn’t conform to its rules. Wilson is working to correct the issue. The John Deere Classic, despite having new dates and a weakened field due to the return of golf to last summer’s Olympics, was named the PGA Tour’s Tournament of the Year. 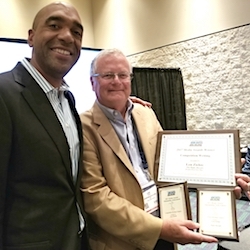 Illinois men’s coach Mike Small will be inducted into the Golf Coaches Hall of Fame on Wednesday night in Norman, OK. 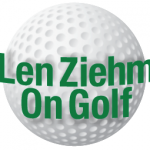 Tournament organizers have announced that tickets are now on sale for the NCAA Championships at Rich Harvest Farms in Sugar Grove; the KPMG Women’s PGA Championship; the John Deere Classic at TPC Deere Run in Silvis, IL; and the U.S. Open at Erin Hills in Wisconsin. LPGA and Symetra golfers will have this view as they play the 18th hole of the Pete Dye Course.